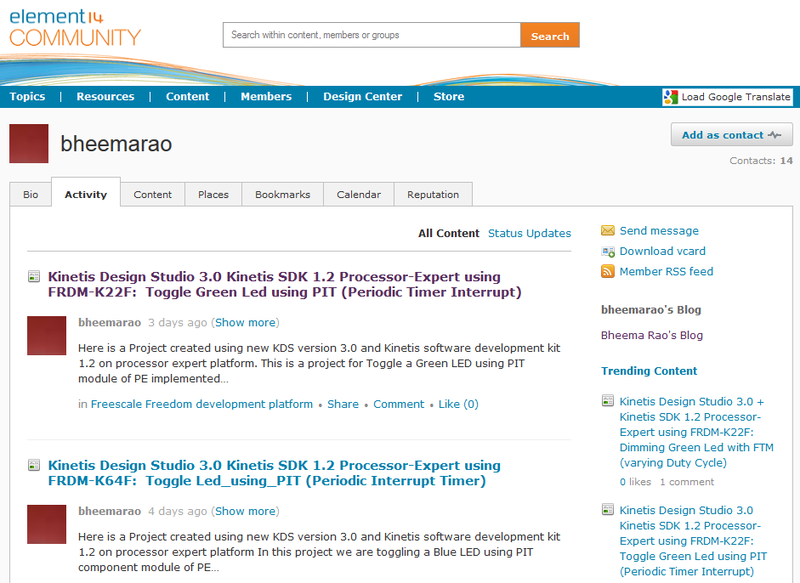 I have found several excellent tutorials created by Bheema Rao on element14: He uses many of the McuOnEclipse components, features Kinetis Design Studio/Eclipse and shows how to use the Kinetis SDK, toggling/dimming LED’s on Freescale Freedom Boards. This entry was posted in ARM, Boards, CPU's, Eclipse, Embedded, Embedded Components, Freescale, KDS, Processor Expert, SDK, Tips & Tricks and tagged Eclipse, Embedded Component, KL25Z Freedom Board, Tips&Tricks by Erich Styger. Bookmark the permalink.